Protect your eyes from the sun! 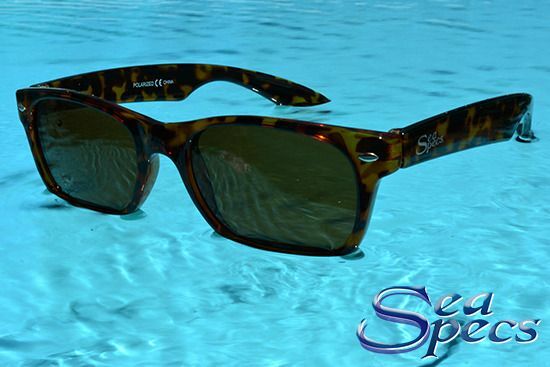 SeaSpecs sunglasses have been developed specifically by and for those who love water sports. Designed with impact resistant, polarized lenses that provide 100% UVA and UVB protection, they are available in 4 styles with a variety of lens and frame colors. We tried out the Cruzer and Stealth styles. Both are great options for TrailblazerGirls: the Cruzer is more of a classic wayfarer style, ideal for hanging out at the beach, on the mountain, about town, or anytime, and we love that they come in 2 sizes; the Stealth is perfect for more active water sports like kayaking, SUP, sailing, even surfing since it has an adjustable strap that keeps your sunglasses in place. All styles are competitively priced, and currently, they’re running a fantastic special when you purchase 2 pairs of SeaSpecs, you’ll get a third one free! Wow, so what are you waiting for? !